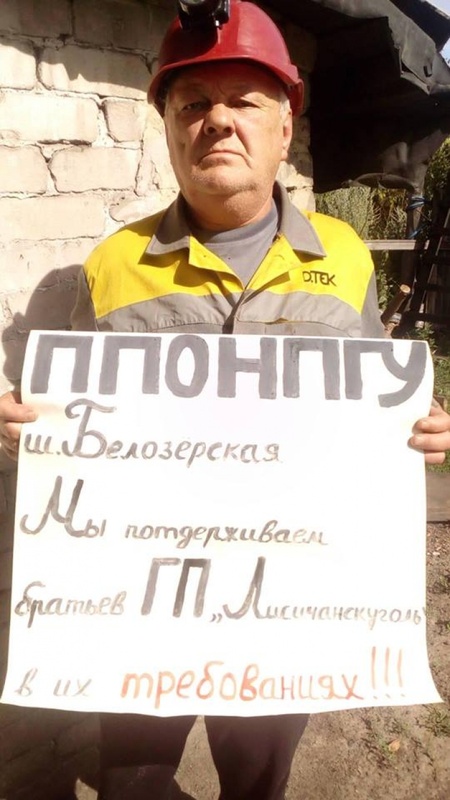 On 15 July, 70 miners from the first shift In the Kapustin mine launched an underground action, protesting against salary arrears since 2015, totaling 96 million UAH ($ 3,7 million US). 31 miners are currently underground, according to IndustriALL affiliate the Independent Trade Union of Miners of Ukraine (NPGU). Drainage and ventilation systems are working in the mine, but company administration kept silence about the rally for more than a day and failed to inform the rescue servicers, which is a gross violation. On 16 July, 21 miners at the Novodruzhska mine also went on strike. According to Volynets, if the debt is not repaid by the Miner’s Day at the end of August, similar strikes will take place around Ukraine. On 17 July, miners’ families and colleagues from other mines held a rally near the Kapustin mine to express their solidarity with the protesters. It is outrageous that the miners have to strike to get paid. We call on the employer to engage in a dialogue with the union and workers.